Detailed within a blog post created by the RedPepper invention lab, a team of developers has created a way for businesses to automatically send deals to customers that walk into the front door. Using facial recognition technology, customer faces are scanned using the Facedeals camera box. Assuming that the customer has already authorized the Facedeals app on their Facebook account, the camera automatically checks the customer into the business. In addition, Facedeals scans your history of Facebook likes and customizes a deal based on those likes. For instance, if a customer walks into a sports bar, Facedeals may see that the customer likes Heineken. Based off that information, the deal could offer the customer a two for one special on Heinekens or some other discount on related food or drinks. The customer receives a notification about the deal on their smartphone and can take advantage of the offer just seconds after walking into the business. The main concept behind Facedeals is to automate the deal process both for businesses and consumers rather than having to rely on the customer to manually check-in to a business. It’s also likely that the check-in automatically generates a status update letting your Facebook friends know that you are at a particular place. RedPepper didn’t indicate if the user has the option of blocking the check-in for the sake of user privacy. However, this type of automated check-in would be particularly useful for a service like FourSquare. Since the main purpose of FourSquare is checking into places, automating that process with facial recognition would be less time consuming on the users. The facial recognition software used by the Facedeals prototype appears to match users based on a percentage of confidence. It’s likely that the development team has set a specific confidence level at a high percentage before firing off a deal to the customer’s smartphone. 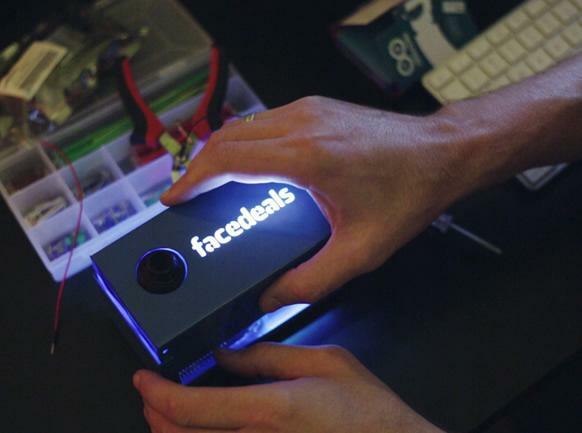 According to the post, the Facedeals camera box was built using the inexpensive Raspberry Pi computer in addition to an Arduino micro-controller. In addition, the device uses OpenCV (Open Source Computer Vision Library) in order to process customer images in real-time. 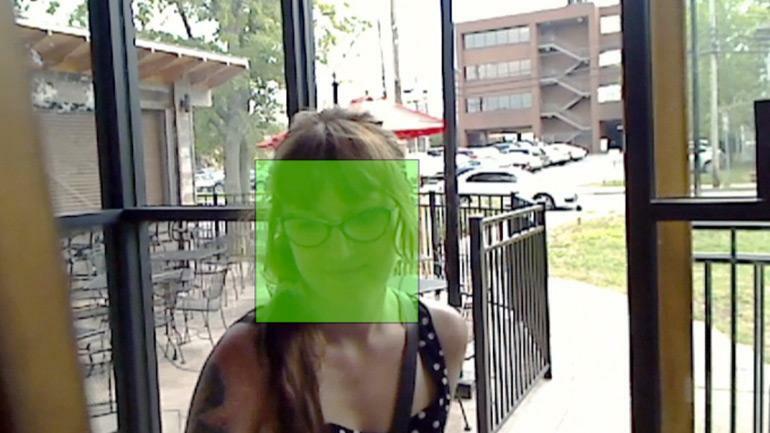 Using a Wi-Fi connection, the camera connects into the Facebook Open Graph API in order to match up the face, scan the customer likes and check the customer into the business. The camera also plugs into any standard wall outlet and can be mounted on the wall. Facedeals is currently beta testing the hardware and software application at select businesses within Nashville, Tennessee. Redpepper may run into branding issues with the Facedeals camera as the logo is extremely similar to the Facebook logo font and the color scheme is identical. Facebook could easily file a trademark infringement claim against Redpepper for the design or simply block the Facedeals app from working on Facebook. In addition, facial recognition is a touchy subject for the social network right now. After Facebook acquired facial recognition site Face.com, the company has faced questions from politicians about the use of facial recognition on Facebook. As the L.A. Times points out, it’s unlikely that people will be happy about facial recognition cameras positioned around the city constantly scanning faces.